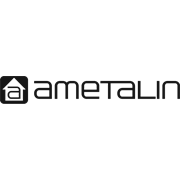 Ametalin SilverWrap™ Breather is a medium duty micro-perforated wall wrap designed for use where cladding is directly fixed to the wall framing. 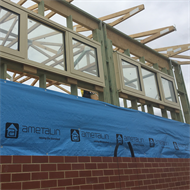 Ametalin SilverWrap™ Breather is 97% reflective it is an excellent barrier to radiant heat, enhancing the energy performance and thermal comfort of a building. 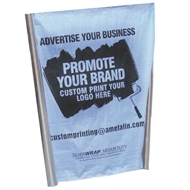 Suitable for use as a wall wrap, in all regions of Australia in residential, commercial and office buildings, including cyclone and bushfire prone zones. Custom printing available. 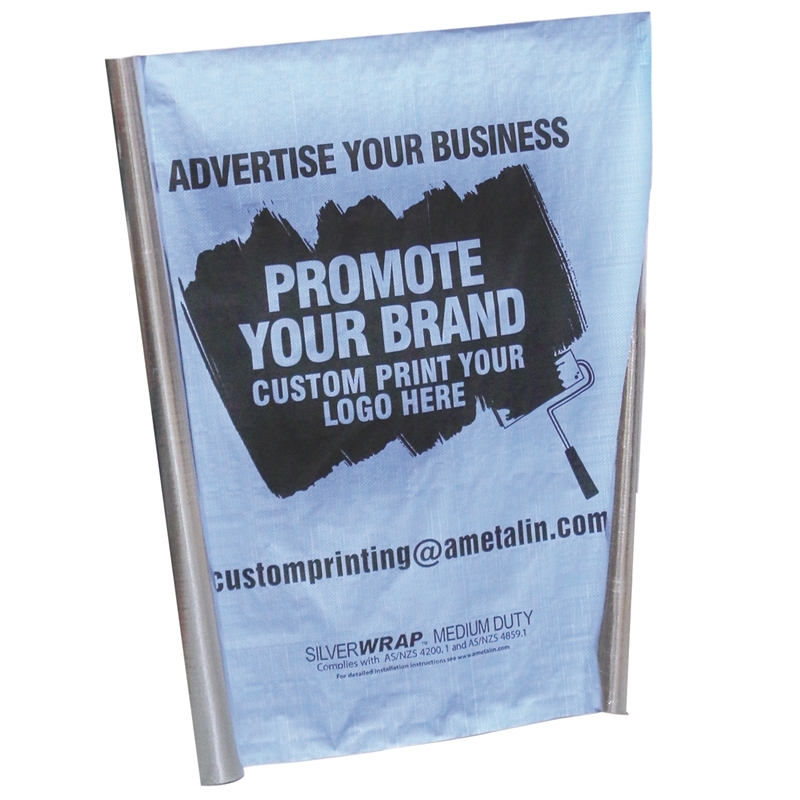 Advertise your business & promote your brand on Ametalin SilverWrap™ Breather. Contact us for more information. 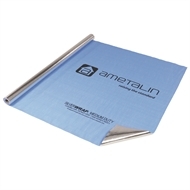 Ametalin SilverWrap™ Breather is not designed to withstand prolonged direct exposure to the elements. Accordingly, upon application of this product the outer roof should be installed without delay. Aluminium foils should not come into contact with wet concrete or mortar, as the aluminium is susceptible to alkali corrosion. Ametalin SilverWrap™ Breather should be installed in accordance to AS/NZS 4200.2:1994 Pliable Building Membranes and Underlay’s, Part 2: Installation Requirements. Ametalin SilverWrap™ Breather is installed with the blue side facing out.